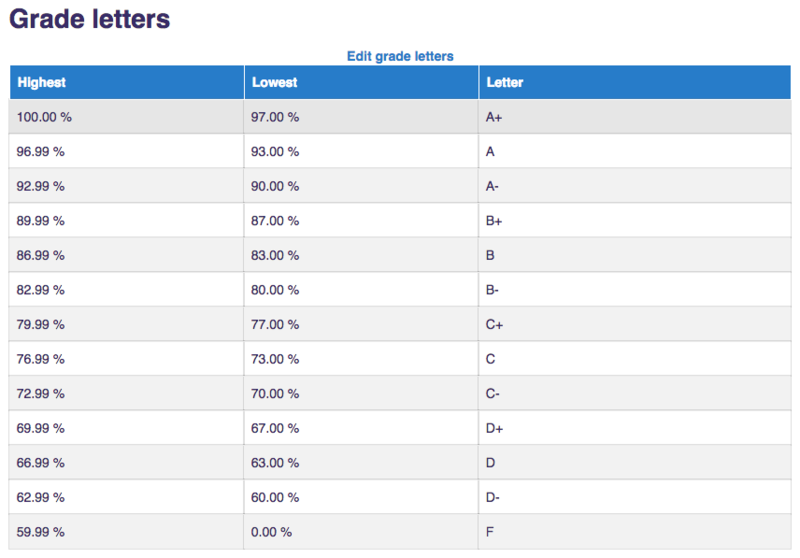 Instructors can use Moodle to easily export final letter grades in a format that Banner Mass Grade Entry can use. 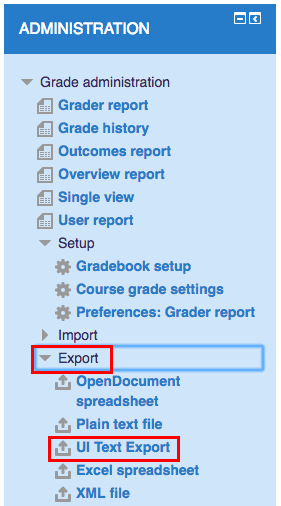 Moodle provides a downloadable file that includes just UINs and the final letter grade, which can be uploaded in Banner. ATLAS-TLT offers complementary gradebook consultations M-F 9-5 to help you make sure that your gradebook is calculating the way that you want it to. Email us at atlas-tlt@illinois.edu for an email consultation or to schedule an appointment. You might also visit the Making Sure the Gradebook is Ready for Entering Final Scores help page. 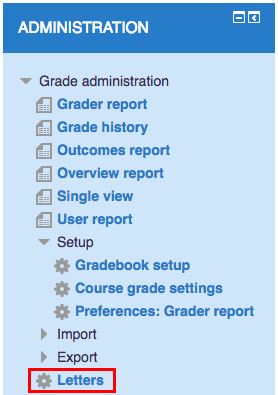 By default, the settings in Moodle correspond with the University grading scale. However, it is a good idea to check the letter grade boundaries in your Moodle course site to verify that the letter grade distribution for final grades is on par with your expectations. 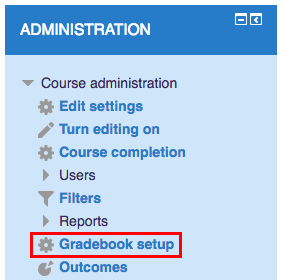 In the Administration block in the upper-left corner, click Gradebook setup. Review the letters and edit as necessary. Refer to this page if your scale is off. In the "Administration" block in the upper-left corner, click Gradebook setup. The Administration block will now be for Grade administration. Scroll down and click Export, then select UI Text Export. Under "Options", click on the button labeled Banner Mass Grade Entry. This will make all of the default settings compatible with the Registrar's upload process. Specifically, it will exclude the header row, and provide only the students' UIN and final grade. Note: If you are using a manual grade item for the total final grade instead of the system total, expand the "Grade items to be included" heading, uncheck "Course total" (at the very bottom) and check the manual grade item that contains the course total calculation you are using. Scroll down and click Download. Visit the Office of the Registrar's page on Final Grade Entry. 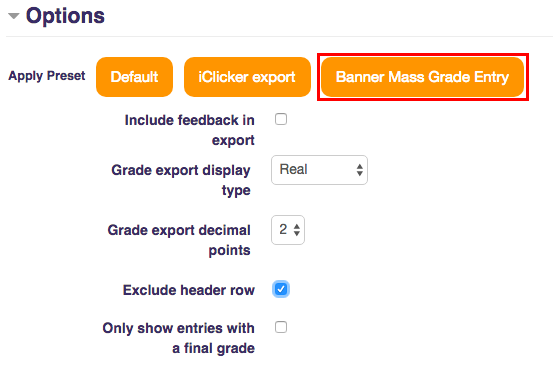 Click here to download the Registrar's PDF on using the Banner Mass Grade Entry Tool.